Well done to all students who competed in the North Leinster Schools Athletics Championship that took place in Santry on Wednesday 2nd May. 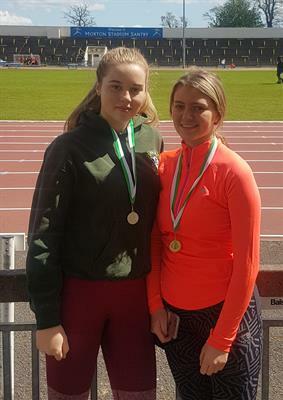 Tia Hart won gold in the u17 Discus and Rachel Hegarty won silver in the u19 Girls’ Triple Jump. Very well done.